In just a few days we will board a plane and travel to one of our favourite destinations in Latin America – Mexico! 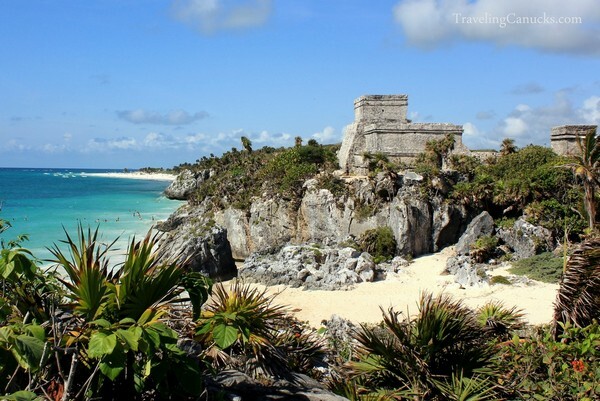 We’ll be spending a couple weeks in the Mayan Riviera, a place that is very special to us. It’s the place we married back in 2008, surrounded by 40 close friends and family, and it’s a place we visited again when we were 5 months pregnant with Baby B. 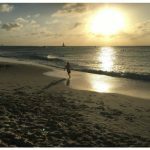 We love Mexico for many reasons – the hot sun, the friendly people, the fantastic food, the cold cervezas, the soft white coral sand and the spectacular Caribbean beaches. 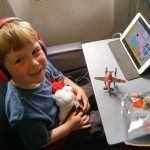 It doesn’t hurt that direct flights from Vancouver to Cancun are inexpensive, ideal when traveling with an active one year old that never seems to run out of energy. We are looking forward to escaping the winter chill that is blanketing Vancouver right now, but this particular trip serves multiple purposes. We will be attending our good friend’s wedding and also celebrating our wedding anniversary – we can’t believe 5 years have already passed by! The timing and location of our friend’s wedding couldn’t be more perfect – the wedding will be held at a resort that’s located only 20 minutes away from the resort we were married at, almost exactly 5 years to the day! We’re very familiar with the Mayan Riviera but it’s our first trip with Baby B, so we had to do a little extra planning. 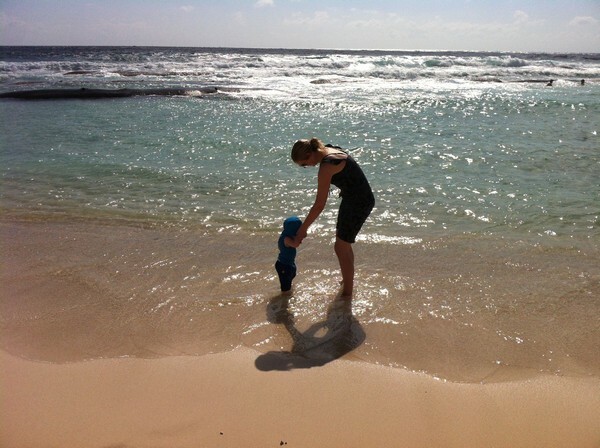 Here are a few things to consider when travelling to Mexico with small children. Baby B is 14 months old so he’s had all of his vaccinations up to one year. But because he still puts EVERYTHING in his mouth, he needs a Hepatitis A shot for visiting Mexico. Baby B just had his one year vaccinations a few weeks ago and the Hep A shot needs 10 days to take effect. We didn’t even consider that there would be complications in the timing of the shots, but they need to be at least one month apart. This left for a very short window for him to get the vaccination. Another curve-ball was the fact that the Hep A Vaccine for infants currently has a shortage in Canada (luckily we found the last one at our local drugstore). Lesson learned: Plan ahead and get your baby’s Hep A shot at least one month before leaving to Mexico. But keep in mind that it should be given at least one month apart from any other vaccinations. We didn’t book a vacation package (we rarely do) for this trip, so we needed to plan our transportation from the Cancun International Airport to our resort (located just outside of Tulum). 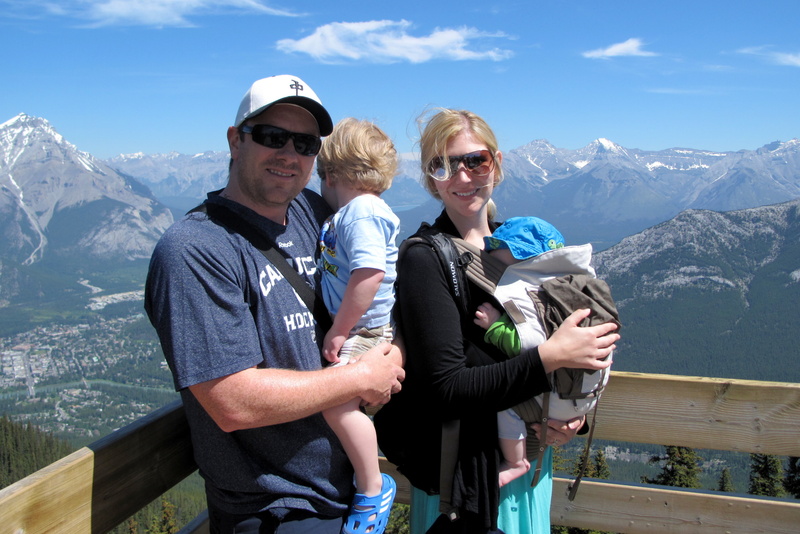 When we travel with Baby B we prefer to organize our transportation ahead of time – this avoids complications. In the past, we’ve found that when transportation is included in group packages there are typically a number of guest stops before finally arriving at our destination. Adding an extra couple hours of land travel is not ideal AFTER a 5 hour flight with a baby! We found a private transport company to take the three of us directly from the airport to our hotel – with no stops and in a nice comfortable big vehicle. We always use travel insurance when we are outside of Canada… even when traveling to the United States. This trip to Mexico is no different. We have heard horror stories about needing medical attention while traveling and, if you don’t have travel insurance, the costs can add up fast! Now that we have Baby B, we can’t imagine taking the risk of not having protection while we’re away from home. A couple of travel insurance sites that let you compare rates are Kanetix and Insurance Hotline. Kanetix also released the first app in Canada that lets you compare and purchase travel insurance right from your smartphone. Baby wipes have become our best friend. We take them everywhere and since hygiene requirements can differ from country to county, I prefer to keep his hands as clean as possible when traveling. It’s winter here in Vancouver, so we are all pasty white – the perfect recipe for a bad sunburn. The sun is much stronger in Mexico (especially for us Canadians), so we’ve planned accordingly by bringing Baby B’s water and sun suit, extra hats, sunglasses and breathable clothing to keep him comfortable in the heat. We’ve also stocked up on sunscreen that are free of chemicals. You can also see our list of favourite travel items. It’s not recommended to use sunscreen on babies less than 6 months old. Instead, try using long sleeve clothing and light pants. If this is not possible, avoid getting sunscreen on your baby’s hands, arms, or any part of the body they can reach with their mouth. Have you been to Mexico? Do you have any baby travel tips to share? How did you go about booking private transportation and was it costly compared to taking a shuttle? How did you go about booking private transportation? And was it costly compared to taking a shuttle ? 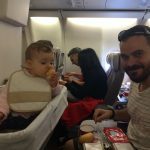 Travelling with a 1 year baby is really a tough task, specially there’s climate is so hot. A baby requires full attention and as well always one person is neede to look after. Its a nice idea to celebrate anniversary at the place where you got married, with your complete family and a responsiblity. Things considered here by you are great and meaningful and also are helpful to the parents willing to travel with a small baby to this like place. The most important thing that should have to taken care is transportation and climate. Have a nice day and a nice week ahead. For those who of you are worried about the water for babies, we found that you can get Gerber Fluoride Free water just like in states, in the supermarket called “Selecto” (look up in google: Selecto Chedraui Cancún Zona Hotelera). This store had everything you need from baby food, diapers, to water…so, you could travel light. 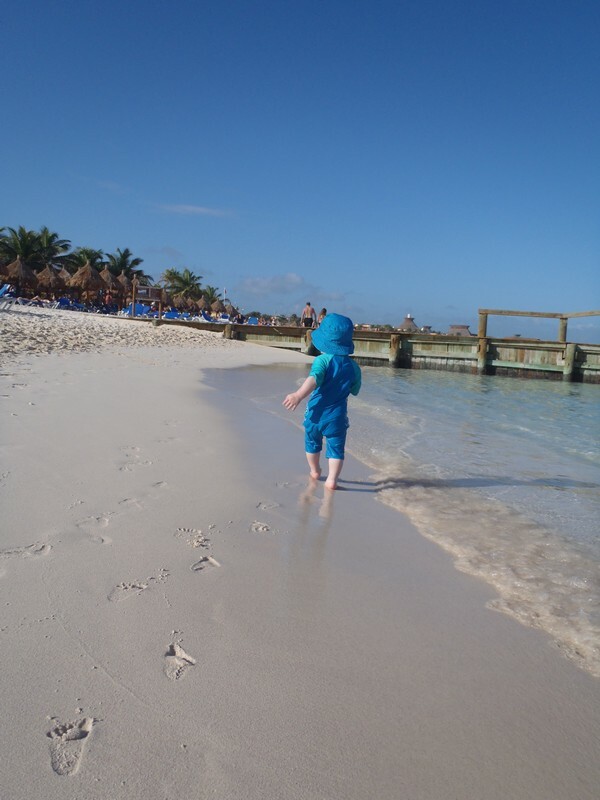 When we traveled with our then 10 months old, we did not do “all inclusive” hotels, as we wanted to be away from the crowd. We booked a hotel at Holiday Inn, and rented a car from the airport. This gave us flexibility to go see the places, and bring baby back to the car, when it was her nap time. We would let baby sleep in her car seat with A/C turned on in the car, while we enjoyed the sun outside the car. This also enabled us to drive wherever we wanted, and eat wherever we felt like. Also, we found that the cars over there didn’t have “car seat hooks” in the seat. So, learn how to install a car seat using just a seat belt…But, over there car seats are not required. Someone could just hold a baby in the lap…we saw locals holding infants in their lap in the front passenger seat, while couple more babies just sat in the back seat….but for us car seat made it easy for our child to take a nap during the day time. Hi. We are planning to go in Cancun with our 20 months old son. Please can you tell me does your baby take malaria vaccine before you going the mexico. Question… So glad I came across Your blog. As we booked our trip to Mexico last week (spur of the moment). I called in regards to getting our 16 month girl the Hepitis A shot. They said it’s a series of two shots but spaced 6 months apart. However we’re going at the end of April. Did you have both set of shots before you left. Should I stop panicking if she only has the one? How did you wash your baby bottles ? With bottled water or the resorts tap? Hi we are looking to take my daughter who will be 15 months to mexico. We are looking to go in September. She has milk allergies so we will have to take dairy free milk with us. We will be traveled ng from the UK. What advice do you have for the flight? where did you stay during your trip? 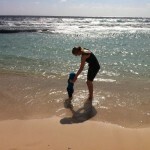 We are looking to spend some time in Mexico soon with our 15 month old daughter and looking for feasible hotel options. She goes down at night at 7pm and we would prefer a seperate living room area in our hotel room so we don’t have to go to bed at 7pm as well. We’ve stayed in a couple places, but all of them did not have a separate room. Once our son went to bed (at 7 as well) we would head out on the balcony to enjoy a few beers. Some of the chains do have the option of a 1 bedroom (but you will have to look around). When we need to share a room, we always use white noise to help drain out our sounds. 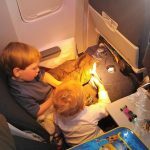 Did you take a car seat with you for travel? What did you do regarding milk for baby? Hi Carissa, baby B was 14 months so he drank regular milk. We just gave him what they had at the resort and it was fine. If your baby is still on formula then it’s easy, bring it with you and mix with bottled water. The staff are happy to warm it for you if needed. Great tips guys! Have an awesome time! Thank you Jade. We had an awesome trip!